swimmming pool, activity rooms, 1500 m2 built 20.000 m2 plot. What an opportunity. 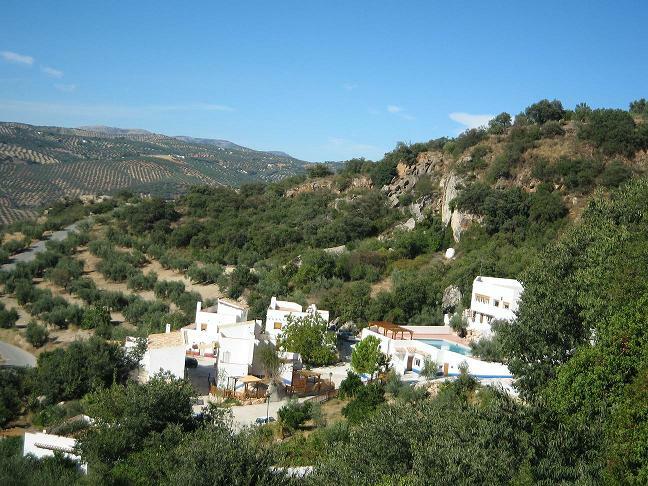 This beautiful complex of 9 houses and 6 apartments is set in fabulous scenery with magnificent views in a quiet rural area close to Granada. The complex has an 80sq mt swimming pool plus a kiddies pool and giant jacuzzi. Perfect for retreats and courses as well as a relaxing place for holidays for nature lovers, in addition there is a restaurant and bar, a lecture room, meeting room. Although the complex is quiet and private you are only a few minutes from a small village with a bank and medical facilities .